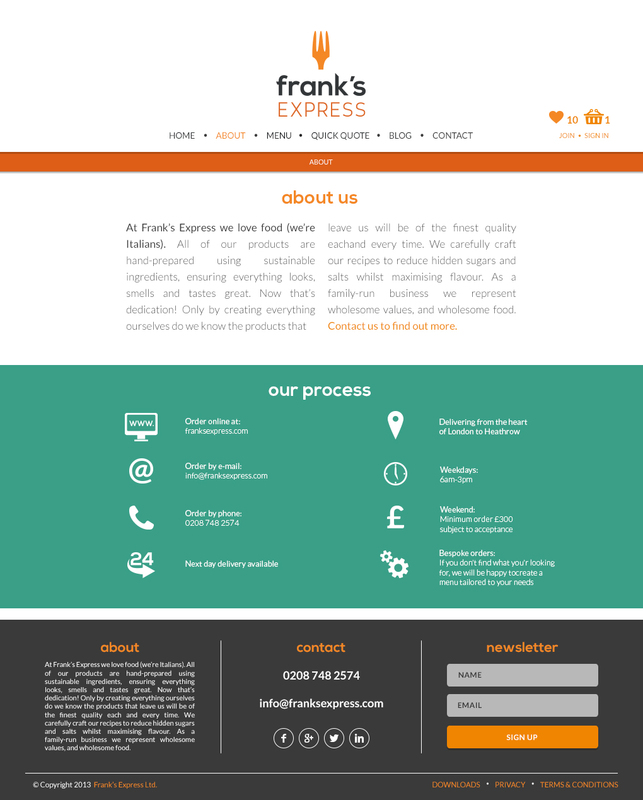 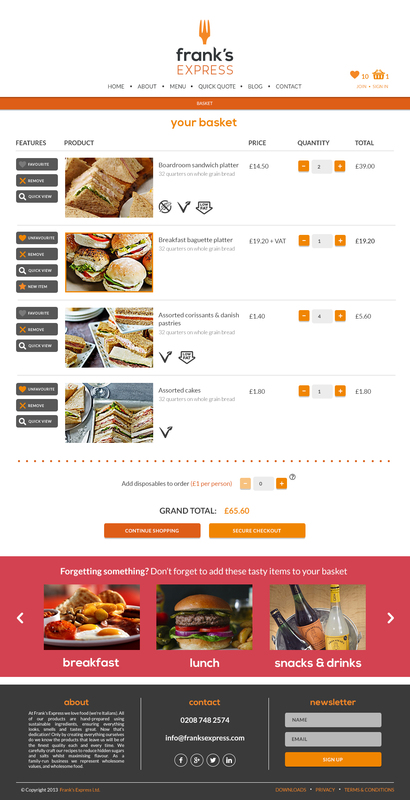 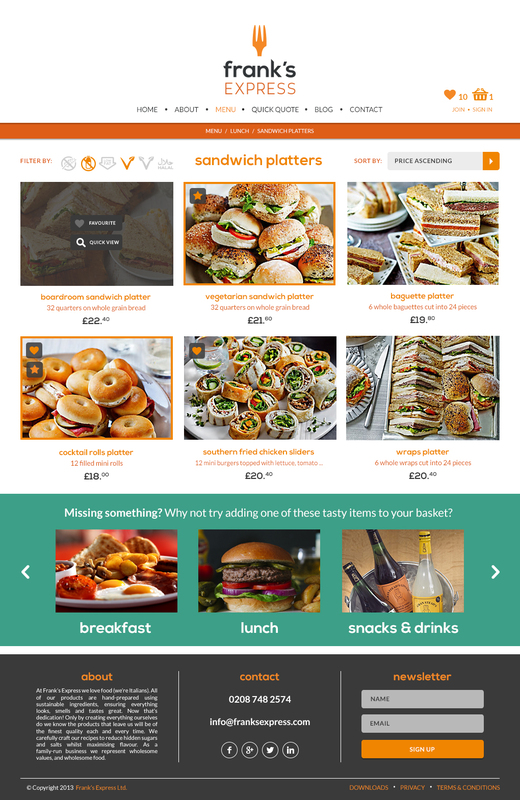 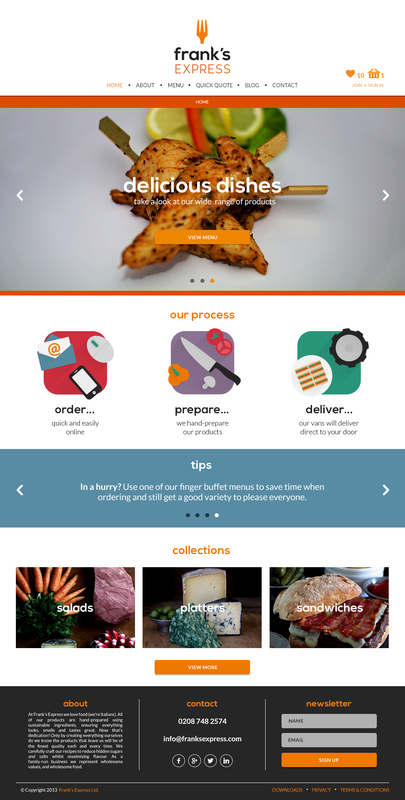 Front end website design for London catering company Frank’s Express. 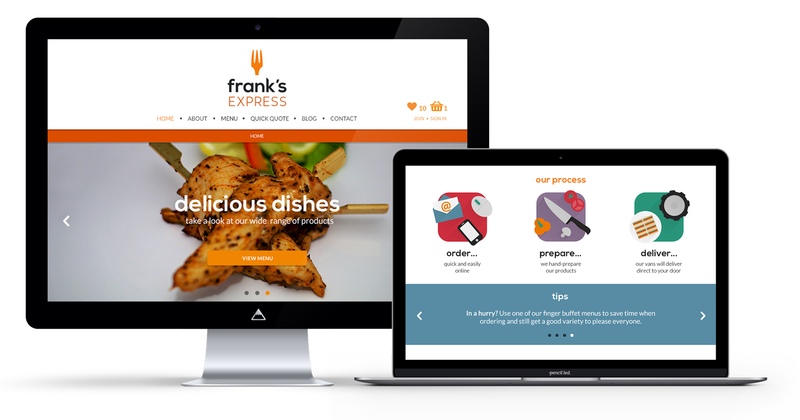 The goal was not only to modernise the company in conjunction with the company rebranding, but also to rethink customer and employee UX in an attempt to streamline internal and external processes. 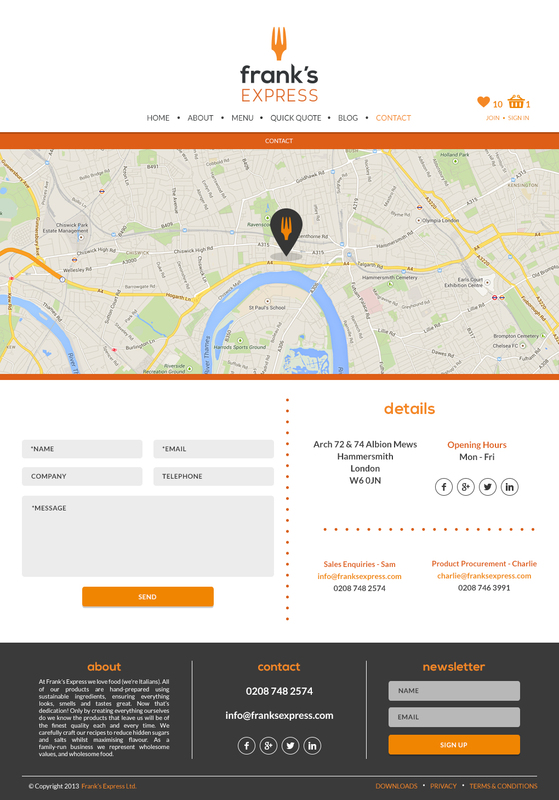 The visual appearance and system structure of the back end was also designed as part of this project.